The driving pinion revolves continuously and drives the gear through ordinary gear teeth except when the “beaver-tail” stop mechanism comes into action. The cam, whose shape is reminiscent of that of a beaver’s tail, is intermittently controlled by two rollers. 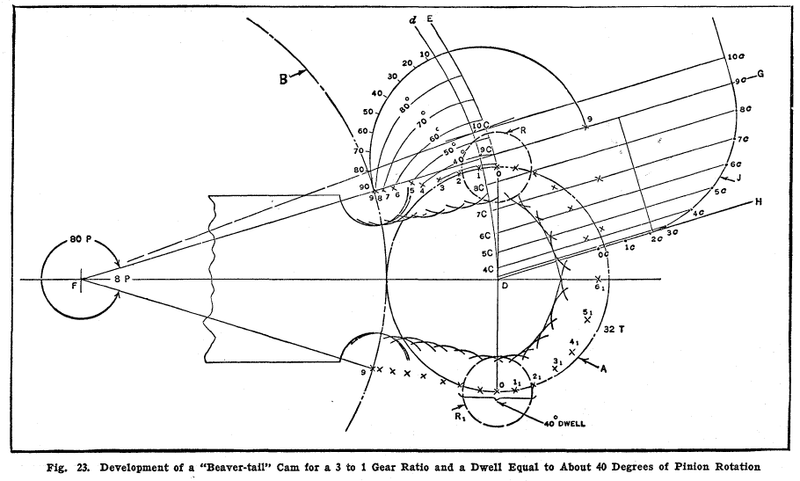 Further information about this mechanism can be found in “Ingenious Mechanisms for Designers and Inventors”, vol. 1 (1930), Industrial Press Inc., ed. Franklin D. Jones. Original CAD files from trinityscsp. Animation generated in Blender.